Evaluation of geological models against borehole image structural information. Mapping of horizons based on borehole-derived structure. Advanced curvature analysis of key surfaces. Inter-well correlation of structural styles and features. 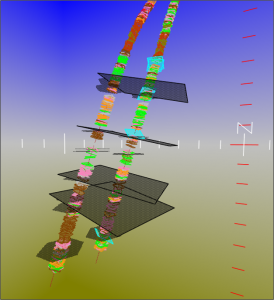 Geometrical modelling of faults cut in multiple well sections. 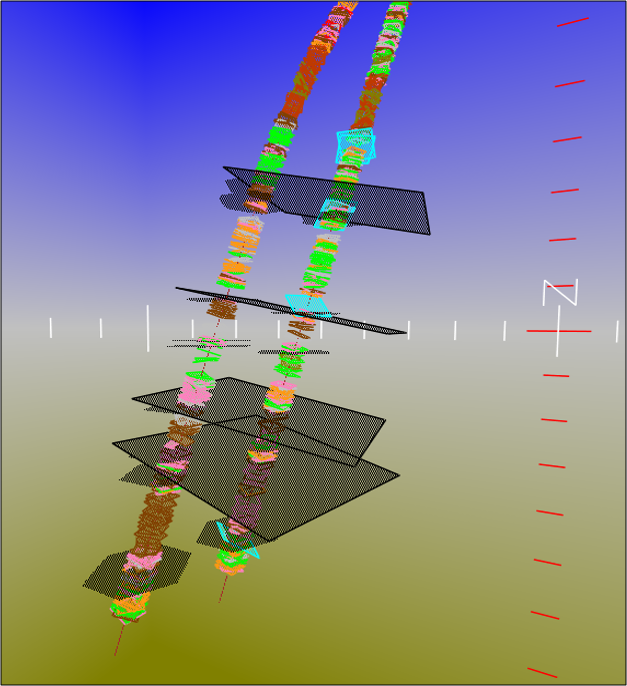 Comparison of dip data to seismic, both in cross-section and plan views.